A variety of scholarships are available to veterans and their spouses and families. AFCEA Educational Fund – afcea.org/education/scholarships. Provides $2,000 to students pursuing an undergraduate or graduate degree while employed in the science or technology disciplines directly related to the mission of AFCEA. Air Force Aid Society General George S. Brown Spouse Tuition Assistance Program (STAP) – Administered by the Air Force Aid Society that provides tuition assistance to the spouses of active-duty U.S. Air Force service members residing overseas. worldwidelearn.com/military/Family. Air Force Aid Society General Henry H. Arnold Education Grant Program afas.org/Education – Provides $2,000 grants to selected sons and daughters of active duty, Title 10 AGR/Reserve, Title 32 AGR performing full-time active duty, retired, retired reserve and deceased Air Force members; spouses (stateside) of active duty members and Title 10 AGR/Reservists; and surviving spouses of deceased personnel for their undergraduate studies. American Legion Auxiliary Department Scholarship – Applicant must be sponsored by an Auxiliary Unit, be the child of an honorably discharged Veteran, be a Florida resident, and attend school in Florida. American Legion Legacy Scholarship – Available for children or legally adopted children of active duty U.S. military and Guard, and Reserve personnel who were federalized and died on active duty on or after September 11, 2001. American Legion Scholarship – American Legion Auxiliary Scholarship for Non-Traditional Students. Available to current dues paying (for past two years) member of the American Legion, Auxiliary, or Sons of The American Legion who is a student who has had at least one year of college and is in need of financial assistance to pursue an undergraduate degree. America’s Child – Higher Education Assistance – americaschild.org – Established to provide college education and welfare assistance to the surviving children of military heroes who have already given their lives in patriotic service to their country fighting our nation’s war against terrorism as part of Operation Enduring Freedom in Afghanistan and the Philippines, Operation Iraqi Freedom or future conflicts. AMVETS – Dr. Aurelio M. Caccomo Family Foundation Memorial Scholarship – Awarded to Veterans, including members of the National Guard and Reserves, who are seeking new skills in order to be competitive in the job market. AMVETS National Scholarship Program – Available to financially assist Veterans who have exhausted government aid, or who might not otherwise have the financial means to continue their education. AMVETS Scholarships – Annually awards scholarships to Veterans/active military, their sons, daughters or grandchildren. A son, daughter or grandchild of a deceased Veteran is also eligible. Ankin Law Office Scholarship for Military Veterans– Scholarships of $1,000 each are offered to Military Veterans or immediate family members and Disabled Veterans. These scholarships differ from most others as the veteran can choose between trade/vocational schools, 2 year or 4 year universities. Armed Forces Communications and Electronics Association Scholarship – Scholarships of $2,500 each are offered to active-duty and honorably discharged U.S. Military Veterans (to include Reservists and National Guard personnel) of the Enduring Freedom or Iraqi Freedom operations. Candidates must be majoring in certain fields of study – see application for details. Armed Forces Crossroads Scholarships for Military Children – afcrossroads.com/education – Offered to college-bound military children at installations served by a commissary. Open to qualified sons and daughters of U.S. military ID card holders to include active duty members, Reserve and Guard members, and retirees. Army Aviation Association of America (AAAA) Scholarships – quad-a.org – For college-level education of members of the AAAA, and the spouses, unmarried siblings, unmarried children and unmarried grandchildren of current and deceased AAAA members. Army Emergency Relief: Dependent Children Scholarship Program – The MG James Ursano Scholarship program is for dependent children of Service Members on federal active duty, retired, or deceased while in active or retired status. Army Emergency Relief: Stateside Spouse Education Assistance Program – To provide spouses of active duty and retired Service Members and widows(ers) of Service Members who died either on active duty or in a retired status, and residing in the U.S. with need-based financial assistance in pursuing educational goals. Army Women’s Foundation – The Army Women’s Foundation recognizes the importance of education and the role it plays in personal, professional and economic fulfillment. The Army Women’s Foundation Legacy Scholarship Program provides grants to women soldiers, past and present, and their lineal descendants to help them attain their educational goals. The Legacy Scholarship Program offers financial support in four areas: Certificate programs, Community College coursework, Undergraduate Degrees, and Graduate Degrees. Scholarships are awarded only for coursework from accredited institutions. Scholarships are based on merit, academic potential, community service, letters of recommendation, and need. Community College and Certificate Program Legacy Scholarships will be awarded up to $1,000. College, University, and Graduate Program Legacy Scholarships will be awarded up to $2,500. Chief Petty Officer Scholarship Fund – cposf.org – For qualified family members of Chief Petty Officers including spouses and children (natural born, adopted or stepchildren). Children of Fallen Patriots Foundation – fallenpatriots.org/ – Providing college scholarships and educational counseling to military children who have lost a parent in combat or accidents. Our vision is that every such child can have a debt-free college education. Coast Guard Exchange System Scholarship Program – uscg.mil/mwr -Scholarships to students who are dependents of Coast Guard active duty, reserve, and military retired members, current civilian NAF and APF employees, and current Coast Guard Auxiliarists that meet eligibility requirements. Collects and disburses donations in support of Service Members and their Families in need, including assistance with airfare, special medical attention, college tuition for the children of Service Members and more. Colonel Christie Marine Corps Scholarship – Monthly stipend given to a former enlisted Marine leaving the Marine Corps to attend a four-year institution. This award recognizes a Marine who has demonstrated exceptional courage and integrity in the face of great obstacles. Deeb Scholarship – Applicant must be adopted or orphaned (documentation is required) and eligible for financial aid. Selection is based upon financial need and merit. Dolphin Scholarship Foundation – grants are available, on a competitive basis, to high school or college children/stepchildren (unmarried, under age 24 at time of deadline) of: (1) members or former members of the Submarine Force who have qualified in submarines and have served in the Submarine Force for at least eight years; or of (2) Navy members who have served in submarine support activities (e.g., submarine bases, tenders, and rescue vessels) for a minimum of ten years. Earl Jennings Puckett Memorial Scholarship – patriotlegacyfund.org/scholarships– The scholarship is awarded annually in the amount of $5,000 to an eligible applicant that fully embodies the spirit of service in their community as determined by the Patriot Legacy Fund scholarship committee. Fallen Warrior Scholarship Fund – Established to provide financial assistance in the form of scholarships to U.S. military Family members of our Fallen Warriors in their pursuit of higher education. Federal Pell Grant Program – U.S. Department of Education – 2.ed.gov/programs– Provides need-based grants to low-income undergraduate and certain postbaccalaureate students to promote access to postsecondary education. Grants may be used at any one of approximately 5,400 participating postsecondary institutions. Federal Supplemental Educational Opportunity Grant (FSEOG) – 2.ed.gov/programs – Provides need-based grants to low-income undergraduate students to promote access to postsecondary education. Students can receive these grants at any one of approximately 4,000 participating postsecondary institutions. Priority is given to those students with “exceptional need” (those with the lowest expected Family contributions, [EFCs], at the institution) and those who are also Federal Pell Grant (see # 84.063, also under topical heading “Federal Student Aid”) recipients. Fisher House Foundation Scholarship Programs – militaryscholar.org – Open to sons and daughters of active duty, reserve/guard, or retired military commissary customers. Florida Bright Futures Scholarship Program – Applicant must be a Florida resident and a U.S. citizen or eligible non-citizen who does not owe a repayment or be in default under any state or federal grant, loan, or scholarship program unless satisfactory arrangements to repay have been made. Florida Engineering Foundation Scholarship – Applicant must have minimum 3.5 GPA and minimum 600 math and 500 verbal SAT scores and be enrolled at one of four ABET accredited institutions in Florida. Florida Student Assistance Grant Program (FSAG) – Applicant must be a U.S. citizen and Florida resident for a minimum of 12 months prior to the start of classes and be enrolled in an eligible undergraduate academic degree program. FAFSA is required. Florida Work Experience Program – Applicant must be a U.S. citizen or eligible non-citizen who is a Florida resident with a minimum 2.0 GPA. Program provides student the opportunity to secure work experiences that complement and reinforce their educational programs and career goals. Award amount is based on the number of hours a student worked. Freedom Alliance Scholarship Fund – Students are eligible if they are the dependent child of an active duty Service Member who was killed or permanently disabled (100%) rating as the result of an operational mission or training accident, or who is currently certified as POW or MIA. Heroes’ Legacy Scholarships – Open to dependent unmarried children under age 23 of those who have died or have become disabled through their active military service on or after September 11, 2001. Hill & Ponton Disability Attorneys– hillandponton.com-Hill & Ponton is offering four $1,000 scholarships to help veterans further their education and enter a career field that would, in turn, help other veterans. Hope for the Warriors – hopeforthewarriors.org The Spouse/Caregiver Scholarship program identifies, recognizes, and rewards spouses/caregivers for their strength, fidelity, and resolve despite adversity. Scholarships aid in continued education at a reputable, accredited university, college, or trade school for spouses/caregivers as they assume critical roles in the financial well being of their Families. 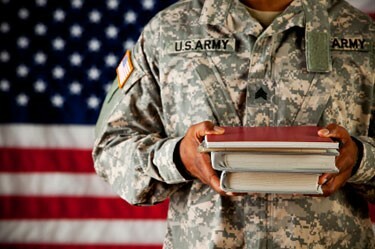 Horatio Alger Military Veterans Scholarship – scholarships4students.com/ – Awarded to Veterans who have served under the United States Military Operation in Operation Enduring Freedom in Afghanistan or Operation Iraqi Freedom beginning Sept. 11, 2001 or later. Housing Scholarship – Provides students with an affordable living option. Recipients will live in a home-like setting where they work in cooperative partnership to purchase and prepare meals and assume responsibility for household tasks. Recipients are responsible for their fair share of household expenses such as food and utilities. Each student contributes approximately $950 per semester. Huebner Scholarships Competitive scholarships for children and grandchildren of former members of the Division as well as children of active-duty 1st Infantry Division Service Members. Iraq and Afghanistan Service Grant -A student who is not eligible for a Pell Grant but whose parent or guardian was a member of the U.S. Armed Forces and died as a result of service performed in Iraq or Afghanistan after September 11, 2001 may be eligible to receive the Iraq and Afghanistan Service Grant. Enrolled in college at least part-time at the time of the parent’s or guardian’s death. John A. Keller Scholarship scholarships4students.com. Available to dependents of members in good standing of the Chief Warrant Officers Association. Additional Information http://www.cwoauscg.org/scholarship.htm . Jose Marti Scholarship Challenge Grant – Applicant must be a Hispanic-American student who is enrolled for a minimum of 12 credit hours for undergraduate study or nine credit hours for graduate study. Each year we offer a $1,000 scholarship to a military veteran or immediate family member to help him/her receive the training needed for their chosen civilian career. Ladies Auxiliary of the Fleet Reserve Association – la-fra.org Helping deserving students reach their educational and professional goals for decades, presenting annual awards of up to $5,000 to individuals pursuing college and graduate degrees. To assist in your transition back to civilian life we are offering a $1,000 scholarship to be used at the vocational or trade school, 2 or 4 year university, or graduate school of your choosing. The application date is July 15, 2018. Liberty University’s Heroes Fund Scholarship -Provides scholarship assistance for qualifying disabled veterans, Purple Heart recipients, and spouses of veterans killed in action. For more information on this scholarship visit liberty.edu/online/heroes . Marine Corps – Law Enforcement Foundation, Inc. – mclef.org – Assistance primarily rendered to children of Marines or Federal law enforcement personnel who were killed on duty or died under extraordinary circumstances while serving our country at home or abroad. These funds enable us to provide these children with scholarships for their higher education. When a child of a United States Marine is afflicted with a physical or mental disability and requires special medical equipment or tutoring, our Foundation may grant financial assistance to that Family if their personal insurance does not cover the complete cost of treatment for this child. Marine Corps League – Scholarship Program – mclfoundation.org/scholarship – Over three hundred scholarship grants are given annually to applicants. The foundation has started a blocked scholarship fund to build a trust to assist in the funding of its regular scholarship program. Scholarships are applied for and awarded by the Marine Corps League Scholarship Committee using applications and standards developed by that committee. Marine Science Scholarship – Applicant must demonstrate financial need and academic excellence. Applicant must attend a Northeast Florida institution or reside in the area. Military Family Scholarships – Visit the site to learn about a variety of scholarships and funding opportunities for military Families. Military Order of the Purple Heart Scholarship – Available to the recipient of a Purple Heart; a direct descendant of a member of the Military Order of the Purple Heart or of a Veteran killed in action or who died of wounds; or a spouse or widow(er) of a recipient of the Purple Heart. Military Spouse Career Advancement Accounts (MyCAA) – : military.com – Provides up to $4,000 (over 2 years) of Financial Assistance for military spouses who are pursuing degree programs, licenses or credentials leading to employment in portable career fields. Military Spouse Fellowship Program for Financial Counseling – afcpe.org– FINRA Investor Education Foundation’s 2010 Military Spouse Fellowship gives spouses the training they need to earn the Accredited Financial Counselor® (AFC®) designation, which gives them marketable job skills and provides them with the knowledge and tools they need to help military Families overcome financial challenges. National Guard Educational Foundation (NGEF) – NGEF, DRS Technologies Create College Scholarship For Children of Fallen National Guardsmen: The National Guard Educational Foundation (NGEF) created a college scholarship fund for the children of more than 650 National Guardsmen killed in the war on terrorism. DRS Technologies, Inc. of Parsippany, N.J., will provide up to $6,250 per year to selected students attending a four-year institution or a two-year program at a community college or technical school. “The DRS Guardian Scholarship Fund drsfoundation.net/guard is open to any high school or college student who is a son or daughter of a Guardsman killed in an operational or training mission in support of operations Enduring Freedom, Iraqi Freedom or New Dawn. National Military Family Association Joanne Holbrook Patton Military Spouse Scholarship Program – Awarded to spouses of Uniformed Services members (active duty, National Guard and Reserve, retirees, and survivors) to obtain professional certification or to attend post secondary or graduate school. Navy-Marine Corps Relief Society Education Programs – NBCC Foundation – The NBCC Foundation Military Scholarship Program is designed to encourage Service Members and Veterans to pursue careers in professional counseling. The program provides financial support to students who enroll, or seek to enroll, in a CACREP accredited counseling program during or after military service, and who commit to serving military personnel. NTA Florida Undergraduate Scholarship – Applicant must be a permanent resident of Florida who is enrolled in an accredited two- or four-year college or university in the State of Florida and is entering the second year of a two-year school, or junior or senior year of undergraduate study in the fall of the calendar year of application. Operation Mom operationmom.org/scholarship – Our Military Kids provides tangible support to the children of deployed and severely injured National Guard and Military Reserve personnel through grants for sports, fine arts and tutoring that nurture and sustain the children during the time a parent is away in service to our country. Paralyzed Veterans of America Scholarship – Paralyzed Veterans’ Educational Scholarship Program was established in 1986 to help members and their immediate Families gain post-secondary education from accredited colleges and universities across America. Since the program’s inception, the organization has funded $319,000 in scholarship awards. Patriot Scholarship divinemercy.edu/financial-aid–This 10% tuition scholarship is for students enrolling in a new program of study at Divine Mercy University who are eligible veterans, active duty military, reservists, retired military, and/or spouse/dependents of the same. Patriot Legacy Fund patriotlegacyfund.org/scholarships – provides post-secondary educational scholarships for the dependent children of service-disabled veterans. Scholarships are awarded in the amounts of $2,500 and $5,000 to eligible applicants. Pat Tillman Foundation – Individuals eligible for the Leadership Through Action – Tillman Military Scholars program include Veterans and active Service Members of both pre- and post- 9/11 service; Service Members who wish to start, finish, or further their education; Service Members of all branches of the U.S. Armed Forces (Army, Navy, Air Force, Marine Corps, Coast Guard, National Guard, and Reserve); Service Members pursuing undergraduate, graduate, post-graduate, two-year, four-year, public, private, vocational, and trade degrees or certifications; and dependents of Service Members (children and spouses). Posse Veterans Program – possefoundation.org/. A national college access and leadership program for post-9/11 GI Bill-eligible veterans. Selected Posse Veterans Scholars attend top-tier, selective US colleges/universities in teams of 10 and are guaranteed four years of full tuition funding after GI Bill and Yellow Ribbon benefits are applied. Posse Veterans Scholars have access to top internships, career coaches, a diverse professional network, and comprehensive training for leadership positions in the workforce. Current college/university partners: Vassar College (NY), Wesleyan University (CT), the University of Virginia (VA), and the University of Chicago (IL). Reserve Aid – iava.org/content/reserve-aid – reserveaid.org – 972-383-8080 – Committed to providing financial support to the Families of Reserve Service Members from all services, who have been called to active duty and are experiencing financial difficulty. Rosewood Family Scholarship – Applicant must be a direct descendant of Rosewood Families affected by the incidents of January 1924. Initial Student Florida Financial Aid Application is required for verification. Applicant must not owe a repayment or be in default under any state or federal grant, loan, or scholarship program unless satisfactory arrangements to repay have been made. Tuition and fees up to $4,000. Scholarship awards are $5,000 to be made co-payable to the scholarship recipient’s institution for payment of tuition, books and supplies and may be reapplied for up to four years for a maximum of $20,000. The application process is the same for new applicants and renewals. Scholarships for Children and Spouses of Deceased or Disabled Veterans and Service Members – The Scholarships for Children and Spouses of Deceased or Disabled Veterans and Service Members (CSDDV) provides scholarships for dependent children or un-remarried spouses of Florida Veterans or Service Members who died as a result of service-connected injuries, diseases, or disabilities sustained while on active duty or who have been certified by the Florida Department of Veterans Affairs as having service connected 100% permanent and total disabilities. CSDDV also provides funds for dependent children whose parent is classified as a prisoner of war or missing in action by the Armed Forces of the United States or as civilian personnel captured while serving with the consent or authorization of the United States Government during wartime service. CSDDV provides funding for tuition and registration fees at an eligible postsecondary institution or the equivalent at an eligible private postsecondary institution in Florida. Scholarships for Military Children – The Scholarships for Military Children Program was created to recognize the contributions of military Families to the readiness of the fighting force and to celebrate the role of the commissary in the military Family community. If your mother or father is active duty, reserve/guard, or retired military personnel or you are the survivor of a deceased member, and you have a military dependent I.D. card you can apply!. Selby Scholarship – Applicant must be a resident of DeSoto, Manatee, or Sarasota County in Florida, have a minimum 3.0 GPA, and be eligible for financial aid. Society of the Daughters of the United States Army (DUSA) – dodea.edu/students – Academic scholarships for college education. Society of the First Infantry Division – – 1stid.org/foundation – for children of Service Members killed in combat or training accidents while serving in a unit assigned or attached to the 1st Infantry Division and authorized to wear the 1st Infantry Division patch. Special Operations Warrior Foundation College Scholarship – specialops.org – the scholarship program process starts in the 10th grade. Spouse Tuition Assistance Program (STAP) – www.afas.org/Education/STAP.cfm – partial tuition assistance for spouses of Active Duty airmen or officers, who accompany members to overseas locations and wihttp://www.afas.org/Education/STAP.cfmll be attending college programs. The focus of the program is on the completion of degree or certificate programs that provide increased occupational opportunities for spouses. Tailhook Education Foundation – tailhook.org/Foundation – must be a high school graduate and the natural, step, or adopted son, daughter or grandchild of a current or former Naval Aviator, Naval Flight Officer, or Naval Aircrewman. Also eligible are individuals or children of individuals who are serving or have served on board a U.S. Navy Aircraft Carrier in ship’s company or the air wing. Teacher Education Assistance for College and Higher Education Grant (TEACH Grant) – teach-ats.ed.gov/ – TEACH Grant Initial and Subsequent Counseling and A TEACH Grant Agreement to Serve (ATS) so that you may receive one or more TEACH Grants to pay for your education. Tuition Funding Sources is a great online resource to help veterans find the scholarship and learn how and where to apply for financial aid. Get started on your way to finding free money for your education! That Others May Live Scholarships – thatothersmaylive.org/ – scholarships, Family counseling, and aid to surviving children of United States Air Force (USAF) Rescue Heroes who gave the ultimate sacrifice during a Rescue mission, training, or other Personnel Recovery (PR) collateral mission. The Academic Competitiveness Grant (ACG) – studentaid.ed.gov/PORTALSWebApp/students/english/AcademicGrants.jsp?tab=funding – The Academic Competitiveness Grant was made available for the first time for the 2006-2007 school year for first-year college students who graduated from high school after January 1, 2006, and for second-year college students who graduated from high school after January 1, 2005. The AFCEA War Veterans Scholarships are offered to active-duty and honorably discharged U.S. military Veterans (to include Reservists and National Guard personnel) of the Enduring Freedom (Afghanistan) or Iraqi Freedom Operations. Candidates must be currently enrolled and attending either a two-year or four-year accredited college or university in the United States. 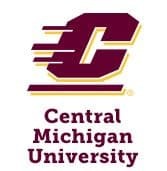 Candidates must be majoring in the following or related fields: electrical, aerospace, systems or computer engineering, computer engineering technology, computer information systems, information systems management, computer science, physics, mathematics, or science or mathematics education. 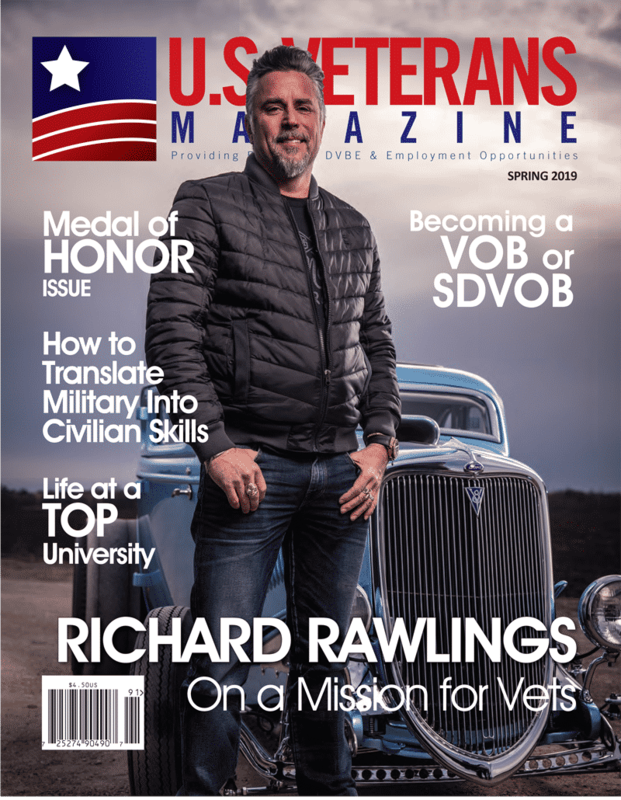 The Fund for Veterans Education – To help meet the cost associated with higher education for Veterans from all branches of the United States Armed Forces who served in Afghanistan or Iraq since September 11, 2001 and who are now enrolled in college or vocational-technical school. ThanksUSA Scholarships – Academic Top Scholars (ATS) – Accessible to all dependent children, age 24 and under, and all spouses of Active-Duty U.S. military Service Members are eligible to apply for scholarships . The National Science & Mathematics Access to Retain Talent Grant – studentaid.ed.gov– The National Science and Mathematics Access to Retain Talent Grant, also known as the National Smart Grant is available during the third and fourth years of undergraduate study (or fifth year of a five-year program) to at least half-time students who are eligible for the Federal Pell Grant and who are majoring in physical, life, or computer sciences, mathematics, technology, engineering or a critical foreign language; or non-major single liberal arts programs. The student must also maintain a cumulative grade point average (GPA) of at least 3.0 in course work required for the major. The National SMART Grant award is in addition to the student’s Pell Grant award. The organization’s primary goal is to assist its members and their Families in improving the quality of their life experiences. This goal is met through a wide variety of activities, including support of programs designed to provide education and training for Veterans with a spinal cord injury as well as their immediate Families. Tillman Military Scholarships – VeteransScholarships – To support educational opportunities for Veteran and active Service Members and their dependents (children and spouses). Intended to cover direct study-related expenses such as tuition, fees, and books, as well as other needs such as room and board and child care. Troops to Teachers – Enriches the quality of American education by helping to place mature, motivated, experienced, and dedicated personnel in our nation’s classrooms. TTT provides financial assistance, counseling, and employment referral through a network of state TTT Placement Assistance Offices. Undergraduate Scholarship Program – CIA – www.cia.gov/careers/student-opportunities -If you are a high school senior planning to enroll in a 4-or 5-year college program, or you are a college freshman or sophomore enrolled in a 4-or 5-year college program, who is looking for career experience in a dynamic environment, apply to the CIA’s Undergraduate Scholar Program and contribute to the work of the nation before you graduate. VA Mortgage Center Scholarship – An ongoing scholarship offer for students with military affiliation, ROTC, and children of military members. Yellow Ribbon GI Education Enhancement Program – gibill.va.gov – This program allows institutions of higher learning (degree granting institutions) in the United States to voluntarily enter into an agreement with VA to fund tuition expenses that exceed the highest public in-state undergraduate tuition rate. The institution can contribute up to 50% of those expenses and VA will match the same amount as the institution. Veterans of Foreign Wars (VFW) Scholarship Programs – The Veterans of Foreign Wars has several scholarship programs across the nation. Visit the site to learn more or contact your local VFW. Wings Over America Scholarship Foundation – wingsoveramerica.us – To provide college scholarships to dependent children and spouses of all US Navy – officer and enlisted – active duty, retired or deceased who served within Naval Air Forces. Recipients are selected on the basis of scholastic merit and community service. Eligibility Requirements for Children & Spouses of Deceased or Disabled Veterans & Service Members (CSDDV). CSDDV provides scholarships for Florida resident dependent children and un-remarried spouses of Florida Veterans and Service Members whose official military and residency status have been certified by the Florida Department of Veterans Affairs. CSDDV provides funding for tuition and registration fees at an eligible Florida public postsecondary institution or an equivalent amount at an eligible Florida private postsecondary institution. Visit: FloridaStudentFinancialAid.org for more information.